Get paid by sharing you class material with us! HowTheMarketWorks is growing at a faster rate than ever – all thanks to teachers looking for the absolute best resources to include in their class materials. We want to make sure instructors who go the extra mile for their students get the recognition they deserve, so let us put you in the spotlight! Share your class material with us. 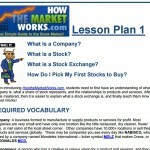 We are looking for teacher-created materials to feature on HowTheMarketWorks. This includes lesson plans, educational articles, class projects, homework assignments, and even videos that you’ve created that help teach personal finance, business, mathematics, social studies, or history to students between 3rd and 12th grade. You can find specific details on what we’re looking for below. We aren’t asking for free either! If we feature your class material, you’ll get an Amazon gift card (amount depending on the resource). How do I submit my class material? Once you have a resource ready to submit, just send it to us by email at support@howthemarketworks.com with the subject line “Featured Materials”. Our editorial team will review your materials, let you know if we think any changes need to be made, and approve it to be featured on our site as soon as it is ready. Who can submit class material? For lesson plans and activities, we are currently only accepting resources from current or retired teachers. However, anyone can submit any other type of resources and get the same rewards, even students! We’ll pay you a different amount depending on class material, and we might not accept everything you send in (especially if it covers something we’ve already covered in detail, or have from a previous Teacher of the Week). Lesson Plans are resources used to teach a concept to students – this usually includes an overview of the concept being taught, one or more activities, and a method of assessment (quiz, test, or method of grading the activities), including any relevant answer keys. You can check out our current archive of lesson plans here for inspiration. The activities used in the lesson plan are counted separately from the lesson plan itself for our rewards – feel free to include activities from other sources, but if you have your own original activities, you can submit them separately for additional rewards. Tips to get us to accept it: We always like to see an activity that makes use of HowTheMarketWorks in some way with the lesson. This isn’t a requirement, but if two teachers submit very similar lesson plans on the same topic, one which includes an activity with HTMW and one that doesn’t, we will probably go with the first. We are also less likely to take more lesson plans covering the same topics that have already been featured from teacher submissions (but we don’t mind having more if yours covers different ground!). We also like to see how this lesson plan works into your state’s Common Core. You must be a current or former teacher for us to accept your lesson plan. “Activities” are things students do either in the classroom or as homework to help learn about a topic. Activities are usually part of, or added to, existing lesson plans to take advantage of project based learning. This can include work sheets, class games, research projects, or anything that requires specific engagement from the students. Tips to get us to accept it: We like to see activities that can feature HowTheMarketWorks in some way, but since Activities have such variety, not including HTMW will certainly not count against you. However, we greatly prefer activities that work with lesson plans we have (or that you submit with the activity!) to make it easier for teachers to integrate them with their class material. You must be a current or former teacher for us to accept your activity. 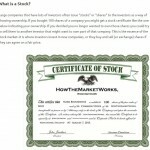 “Articles” are educational content that we feature in the education center (for example, our “What is a Stock” article). 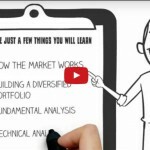 These articles teach about important topics in investing, personal finance, and business. 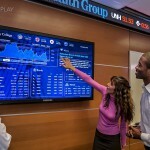 Articles can be formatted as a “glossary” entry – explaining an important investing term in detail, an “Event”, which explains an important economic event with some editorial perspective, or a “Guide”, which can explain things like how to pick your first stock, how to build a strategy, or how the news impacts investments. Articles should also include a 3-5 question quiz for review. Articles can be on a very wide range of topics, so it is a good idea to “pitch” your article to us before writing it to make sure its on a topic we are interested in. Just send us the general topic and an outline of what you would cover, and we’ll let you know if we would be interested before you write the full content. Tips to get us to accept it: We are always looking for articles covering a wide range of subjects, so just send us your “pitch” and we’ll let you know if it is something we would be interested in. There are many articles on this site that might be only a couple paragraphs long, we are always looking to replace them with articles with more “meat”. You do not need to be a teacher to submit an article – even students are welcome! “Videos” are like articles, but in the form of moving pictures! We are looking for all the same things in a video as we would an article – “Glossary”, “Event”, and “Guide” -style videos are preferred. You can still send us a pitch before making the video to check if it is something we would be interested in. Tips to get us to accept it: The same rules for articles also apply for videos, but since we have so few videos you have even more options! Just pick your topic and send us a pitch, we’ll let you know if we’re interested. You do not need to be a teacher to submit a video – even students are welcome! 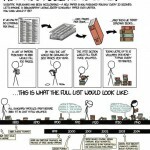 Tips to get us to accept it: Infographics must be both informative and pretty to look at. They can be drawn or made using an image editor, but for us to accept them they must have some “polish”. We want to make sure teachers who go the extra mile get rewarded for it! If we choose your class material to add to our Teacher Resources, we’ll send you an Amazon gift card. You can submit as many resources as you want, and we’ll reward you for every resource we use. You can find the full details of how much you can get, and how we’ll use it before. Once you submit content to us, we can use it forever without further permission or fees. We can also re-post it, edit, redistribute, or otherwise re-use the content at a later date at our choosing. You can’t later decide to rescind access – once we accept it, you can’t take it back. We will not accept submissions which contain previously – published material, or material owned by someone else. This can be tricky for lesson plans – you can include activities in your lesson plans from other sources, but in this case we would reward you for the lesson plan itself and not the 3rd party activity (this is why we reward “activities” and “lesson plans” separately). If you have it already posted on your personal blog or website, that is no problem, but if this is already featured on a “class materials” website or exchange, we will proceed on a case-by-case basis (we need to verify you actually have the right to distribute it to us, and for us to distribute it afterwards). We are under no obligation to accept content that you submit. If we use it, you’ll get the rewards, but if we don’t use it none of the other terms apply.